Our team of experts and specialists have been successful in helping clients to cut costs and save money. 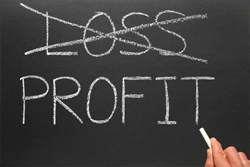 We use lean supply chain principles to help you save money and enjoy higher profits. The AYTA Group is a specialized group of professionals that come from distribution, manufacturing and engineering industries. We can produce significant savings within your company. When manufacturing profit our lean consulting firm will take an in depth look at your company’s current state. We will identify areas where costs could be reduced and offer our plan of implementation. There is no risk of investment; we only collect a fee when we save your company money. Learn about Lean Consulting and Supply Chain Consulting services. Our experienced consultants can help you identify ways to improve, save money and see a manufacturing profit.